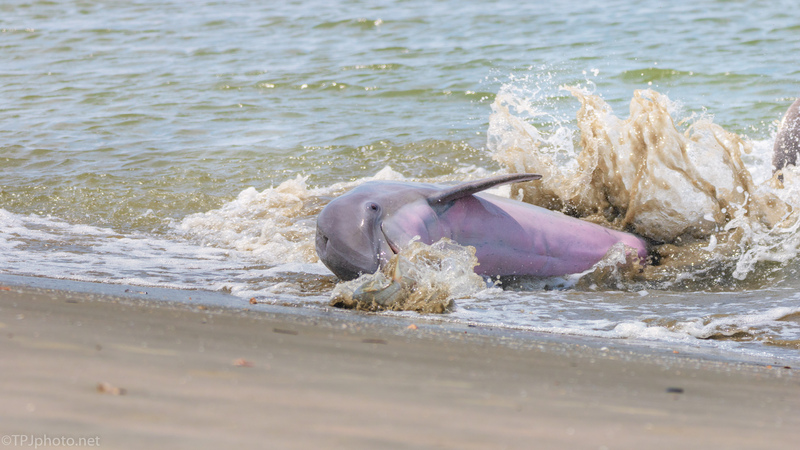 Photographed just as this Dolphin hit the shore stranding this fish. The waves behind are caused by the Dolphins tail pushing him foward. Whoa, that is extraordinary! What a capture.